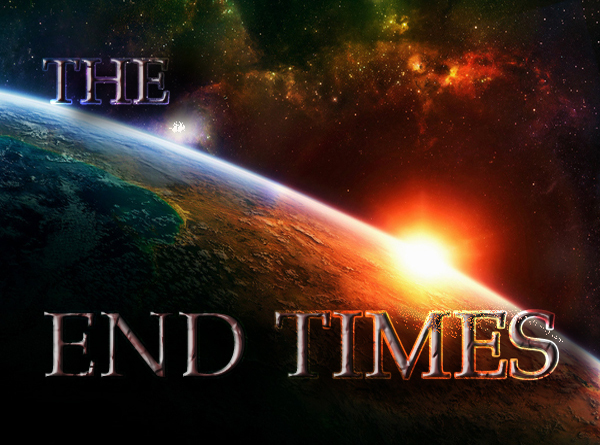 The Biblical End Times picture is rapidly unfolding: end time signs, the soon to happen Rapture of the bride of Christ, the Great Tribulation, rule of the Antichrist, the judgments of God, the second coming of Christ & the fulfilment of all things. This page has teachings and numerous prophetic visions given by the Lord to help people prepare & more will be added over time. 7. There would be cold religious systems, denying God’s power (2 Tim 3:5) and there would be a falling away. 9. Deadly diseases would be prevalent (Matt 24:7). The worldwide increase in AIDS deaths is almost inestimable, plus many other diseases. 10. The fact that God once flooded the earth (Noah’s flood) would be denied (2 Pet 3:5-6). There is a mass of fossil evidence to prove this fact, yet it is flatly ignored by the scientific world because of its uncanny implication. 30. Great storms, winds, disasters, tsunami’s, and astrological signs – And there shall be signs in the sun, and in the moon (blood moons), and in the stars; and upon the earth distress of nations, with perplexity; the sea and the waves roaring; Men’s hearts failing them for fear, and for looking after those things which are coming on the earth: for the powers of heaven shall be shaken. (Luke 21:25-26). 32. Men would mock the warning signs of the end of the age saying, “for since the fathers fell asleep, all things continue as they were from the beginning of the creation.” (2 Peter 3:4). The Bible even reveals their motivation, they love lust (verse 3). The reason God seems to be distant, is because He is patiently waiting, not willing that any perish, but that all come to repentance. THE SIGNS ARE EVIDENT IT IS VERY SOON! ARE YOU LIVING YOUR LIFE PREPARING TO GO WITH JESUS IN THE RAPTURE OR TO BE LEFT BEHIND IN THE TRIBULATION? 3. The Judgments of God. > I saw all the Saints who had done the will of Jesus were taken up into the Rapture, where Jesus appeared midway in the heavens. He took up all those who did His will, along with the faithful ones who were in the graves. After the rapture, I saw angels fight against a dragon who is the 666. He was defeated, and there was no room for him in heaven, so he fell to earth. The dragon said that he would rule over the earth for a number of years. He went away and then another beast came which had 10 heads and 7 horns. He wore crowns on his head which had blasphemous names written on. At that time, those who believed in Jesus, were severely persecuted. Their flesh was cut while they were alive, their eyes were gouged out. Their throats were slit and they were fried in huge containers. When Jesus comes to earth again He ascended right down onto the surface of the Earth. When the dragon, who was the 666, saw the glory of Jesus, the dragon could not bear it and fled. 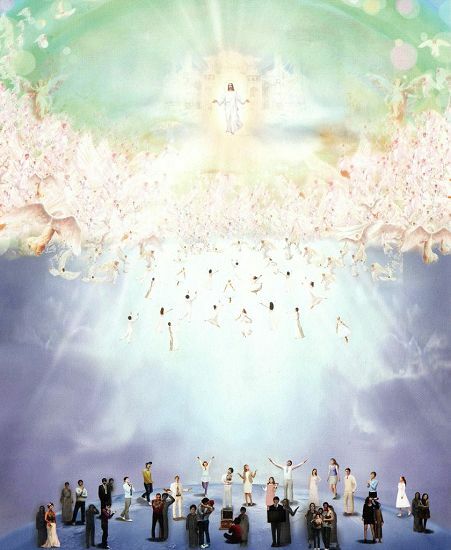 When Jesus came down again, those who were dead, those who were left behind after the rapture awoke from their graves. Then Jesus put the goats to the left and the sheep to the right. These goats were those who did not do His will and those who had the mark of the beast 666. Those who were on the right were the sheep. They had the mark of the cross and they are the ones who did the will of Jesus. God then judged each and every person, the sheep and the goats. And each and every one was judged before God and their sins were viewed on a TV Screen. God asked, “When a person witnessed to you about Jesus Christ, did you believe and repent or not?” If they replied “No” then they were damned to Hell. I saw that those who were cast into Hell, fell into a bottomless pit. They fell into the pit and where tossed about without reaching anywhere. There was a hot raging fire. They shouted and screamed begging God for mercy. I also saw a place full of worms, large snakes and Hell fire. I saw people there too. The worms would go in one nostril and out the other. I saw a big centipedes stuck to the cheek of one man. I saw a snake curl around the body and centipedes crawling over peoples bodies. Jesus said that now is the time for you to repent. In this revival you will be saved. Jesus gave us this revival because He loves us. People were weeping and lamenting wishing that they had believed in Jesus the Christ. Everyone who doesn’t believe in Jesus as the Messiah is lost! I saw many people and pastors crying and THE PEOPLE STARTED DEMANDING THE PASTORS, “WHY DIDN’T YOU PREACH THE TRUTH, WHY DIDN’T YOU TEACH HOLINESS AND WARN ME ABOUT ALL OF THIS? IT IS ALL YOUR FAULT THAT I WAS LEFT BEHIND!” Many will stay behind because they are not living holy lives. We need to preach true Holiness and teach people to truly Repent! I SAW HOW PEOPLE WOULD BEAT THE PASTORS AND TEAR THEM TO SHREDS AND PULL OUT THEIR HAIR. The pastors would cry and beg the people not to harm them. The people would not stop because they were now demonized. There are entire churches that will be left behind. I saw a brother that was trying to rip his own eyes out because of the sorrow. And people would hit their heads against floors and walls because they couldn’t understand that Jesus was the only answer. Because people wanted to continue in sin and wickedness and live life the way they wanted to. People would cut themselves and bang their heads until you could see their skulls crack and they would fall to the ground. I the blood flow freely in the church from people who were injuring themselves. Then I saw a youth crying out to God, “Please Lord, take me!” It was too late. Jesus had already come and received His church. I fell to the ground because I saw many more terrible things. Time is so short!! If you don’t want to believe me, then don’t believe.. But He’s coming and it will be for eternity. The people of God don’t want to believe in the rapture. Please awake, for God’s sake awaken to the truth!! (March 18, 2015) In the early hours of the morning, the LORD took me into a vision… I was on the earth at the crucial stage of the end times, In this vision, I was walking on a road, there were people engaged in daily work and activities, suddenly rapture took place, in a second, in a flash.. I saw believers disappear.. It just happened so fast and the saints were caught up to the heavens simultaneously, I also felt like something has left the earth… the LORD ministered to me, that the rapture has occurred, also i knew by revelation that those who were taken, were true believers and there were ready for the rapture. I was in the Tribulation, I felt great fear and panic on my soul…the rapture had happened, it was so unexpected, I was allowed to see and experience the world after rapture took place, First it looked partly dark, I don’t know what caused the light to dim, the land was so desolate, It looked like something came and caused great devastation, destruction of buildings, property and land. Then I saw war planes everywhere, people were running wild, screaming and crying, so many women, children and men, you could see so much panic and sorrow as they ran everywhere, I also wanted to run for my life, but it was only a vision… even the air was not good to inhale, It was polluted with chemicals and hard to breathe in, it was like limited oxygen, people were breathing heavily, I remember inhaling the air, it did not smell right, I felt like I would suffocate, during this vision I was just filled with supernatural knowledge. 1. There were wars of countries, Russia & her allies against US, Britain & their allies, there was a mention of something big happening in Australia. The last thing GOD showed me, a Leader emerged, his aim was to unite the world and rule it.. I heard him speak and I saw him… a man of great power… sweet, deceiving tongue, it looked like no one could beat him, upon those on the earth it was like no one was smarter… I knew in my vision, his aim to unite and rule the world will be successful for a time…I knew also he will be the most wicked dictator this world has ever seen. I knew many people who will try to resist his way will be slaughtered mercilessly. This man was as wicked as the devil. The man of lawlessness, the anti Christ whom the LORD JESUS will destroy with the breath of HIS Mouth and brightness of HIS Coming. 1Thessalonians :5:1: But of the times and the seasons, brethren, ye have no need that I write unto you.2: For yourselves know perfectly that the day of the LORD so cometh as a thief in the night.3: For when they shall say, Peace and safety; then sudden destruction cometh upon them, as travail upon a woman with child; and they shall not escape.4: But ye, brethren, are not in darkness, that that day should overtake you as a thief.5: Ye are all the children of light, and the children of the day: we are not of the night, nor of darkness.6: Therefore let us not sleep, as do others; but let us watch and be sober.7: For they that sleep sleep in the night; and they that be drunken are drunken in the night.8: But let us, who are of the day, be sober, putting on the breastplate of faith and love; and for an helmet, the hope of salvation. It really terrified me, so much noise and sounds, air-crafts flying over my head… suddenly the vision lifted up. The testimony of a young boy named Juan Hugo from South Africa. Juan is just 7 years old and has experienced numerous encounters with the Lord Jesus Christ. He has been called from a very young age to testify to the reality of Heaven and Hell, and of the Lord’s soon coming. Next they were as he explains riding on the clouds, then he said that Jesus told him to look down at the world where he saw a terrible earthquake where buildings were falling and also fire that came down from Heaven. Lots of people were running around terrified and screaming. Jesus explained that these people that he saw were not obedient to Him and did not listen to His warnings and that was why they were left behind. The LORD took me into a vision, He showed me the person of the Anti-christ, his rise to power, political office. I saw the leaders of the world around him. I saw the world after the rapture of the church, christians were prohibited to hold meetings. I saw some pastors who were left behind, running and regretting being left behind at the rapture, some hid in far places. Anti-christ killed so many people, christians run to hide in isolated places, they used codes to identify themselves. I saw many police, firing of guns. It was really terrible. PLEASE BE RAPTURE READY TODAY, DONT BE A LEFT BEHIND CHRISTIAN. THE GREAT TRIBULATION IS NOT A JOKE. GOD WANTS YOU TO MAKE IT ON THE RAPTURE. Most of the times before I have a supernatural experience The HOLY SPIRIT tells me ahead of time. It usually happens in prayer, then sometimes while I am doing my own personal things, the message usually comes by a word of wisdom (by inward intuition) or by tongues and interpretation, or by prophecy. I was taken into a vision, and it first started with a question: “Are you rapturable?” I understood it meant: ‘Do you have the FULL Oil of The HOLY SPIRIT?’ Then the rapture took place quickly, it is always fast. GOD comes and gets HIS few ready saints. I was then taken into the earth during the tribulation to observe the great persecution, and I saw the news reports about missing people from all parts of the earth. Then I observed several thrones. I saw satan sitting on one, then several beings also around him. These are those who will rule with him at the tribulation: he was the governor, the ultimate ruler of the earth during those days, nothing could go passed unnoticed, and he seemed to enjoy the Tribulation so much. What GOD emphasized here was the great persecution that shall break out for his tribulation saints! The whole world was turned upside down; the people of the world hated the left behind Christians. It’s like they believed the Christians were responsible for their problems, and the great tribulation. There were so many kinds of injustices, the worst kind of unimaginable torture, blood flowing everywhere, and a violent persecution had broken out. If they have to amputate your body parts or cut you in pieces, they will do that with perfect ease. Whatever they can do, so that you wish you never existed. These people’s consciences are dead, and they are demonized. I saw many Islamic terrorists doing all kinds of terrorism. The world was never the same again. I am trying to the best of my ability to tell you, what GOD gave me to share with you. There are so many things that will happen in that period, to go through the great tribulation is to experience Hell here on earth, while you are still alive, what happened during the dark ages, the crusades, or the Holocaust is nothing compared to this. I am talking about the Great Tribulation here, a time that was never like it before and will never be afterwards. The funny thing is that when you are left behind, the situation is taken out totally of your hands. You cannot change nor do anything about it and you cannot even make an appeal or take it to the police. You are not responsible for your family anymore. You don’t even have time to think about that. There is no moment of peace or rest; just torment, severe suffering, and anguish like you never thought could have existed. I saw that the master mind behind all this was satan and his men seated on their thrones. He seemed to be overjoyed with every part of it! Then all of a sudden, the scene changed, and I was taken into the Throne room of GOD. I saw the Great Throne, the ONE WHO’S Name is the ANCIENT OF DAYS who was seated on it, HIS throne was very big and HIS PERSON seated on the Throne. I was allowed to catch a glimpse of this. HE was with the MESSIAH, and the reason why I use this particular term is because they were used in the vision and I saw them merging into ONE PERSON. JESUS has the ability to walk into FATHER GOD. The GODHEAD has this ability: they fuse and become ONE ENTITY, yet you can still notice another INDIVIDUAL or other PERSON. At other times, JESUS comes out, and that’s where JESUS came from, the Bosom of The FATHER. There is no other way to express it, as I looked upon HIM, I could not see HIS Face. There was a vision Voice narrating some certain things to me: The first thing, that startled me, frightened me beyond measure is that, The Heavenly FATHER was so HOLY, and it was like it was my first time to see HIM. All this has been fresh to me. HE was so HOLY, I trembled with fear I tell you that even when the vision ended I continued with it. I could feel all the awe, all holy reverence. It was so overwhelming, and a few times I was allowed to see HIM with billows of Glory and various rainbow colors: Dazzling Majesty and Power. HIS Voice was very massive like thunder or as mighty ocean waves roaring that can be heard several billions of miles away in the Universe. The time HE told me what I am called for, the kind of ministry I am to carry and that I am going to have many supernatural experiences (By the way, HE has been faithful about it, and HE has taken me into the spirit realm ever since the year 2010 until today—hundreds of times, almost every day I either have a Spiritual vision or a supernatural dream. Some encounters might seem similar, but no two encounters are the same. That’s how supernatural GOD is), but never had I felt like this. I was very shaken; I could not resist the magnitude of HIS HOLINESS, HIS Total Perfection! There were creatures on either sides of the Throne like angels with wings outreached. I knew they symbolized something, but I just could not get what it was. They are special kinds of angels that guard HIS Throne, and they guard HIS Presence. Only they can come closer and much nearer to HIM. I can imagine the kind of holiness and purity one has to possess in order to come to that Throne, it almost seems impossible but with The HOLY SPIRIT it’s attainable. The great persecution continued until HE came, then Judgment was committed unto his saints, as it was happening, the vision faded away…then I came here to start documenting it! — Matthew 24:9: Then shall they deliver you up to be afflicted, and shall kill you: and ye shall be hated of all nations for MY Name’s sake. — Isaiah 13:13: Therefore I will shake the Heavens, and the earth shall remove out of her place, in the wrath of The LORD of hosts, and in the Day of HIS Fierce Anger. Their children also shall be dashed to pieces before their eyes; their houses shall be spoiled, and their wives ravished. Their bows also shall dash the young men to pieces; and they shall have no pity on the fruit of the womb; their eye shall not spare children. February 10, 2015, In my dream, I was praying and pleading with the Lord Jesus for mercy. My bedroom roof opened. It was twilight here but the sky opened and sudden some people here got caught up (raptured) in air. Other people were trying to fly and jump up but they didn’t go anywhere. The earth looked so small and i saw many places but so few people were ready and raptured. I saw Australia and other nearby countries like Japan, China and Taiwan. Many people there were pleading with Jesus to take them but He couldn’t. He looked so sad to see that few are flying in the air. I saw Choo Thomas (the dead in Christ shall rise first), Brother Othusitse, Brother Chris and many saints are flying up as if they couldn’t wait to be with the Lord. I saw that they seemed to know that their time on earth was over. Then many cars stopped and crashed into one another. They wanted to die because they couldn’t make it. I also saw a neighbour who is a born-again christian, and his wife, children and grandchildren were flying up but he was not raptured. I was sad because he was shouting because he was left behind. He said that he knew that day would come and his daughter told him about that but he didn’t believe and now its too late. I also saw my parents in disbelief of me, they saw my garments had been changed and it was only me in my family got caught up. They cried for losing me. My clothes have been changed from shorts and shirt to a white and robe-like garment. I wanted to fly with them but it was only me whom Jesus caught up because they dont believe. I cry and give thanks but my family want to pull me back with them. I couldn’t resists the great power or pressure from Heaven that pulled me up. I saw many pastors that didn’t make it, even priests and other church members didn’t make it. Many people became crazy and many demons were attacking them. Many unborn child were raptured too. They looked like cherubs that was smiling in the air. I also saw an old man that cant walk but he became young and whole as he was flying up in the air. He was once a beggar but he now looked so neat and any trace of age weariness and poverty in his appearance was gone. His face was smiling because he told many street strangers passing by that there is a little time left but only few listen to him. He even tried to share the gospel but instead of believing him, many people ignored him even spat on him, telling him that he was crazy. His silver hair was gone and he looked like a teenager flying. Many people from a big congregations were left behind. A lot of garments have been changed but they were owned mostly by children not adults. Those children are toddlers and babies who are innocent of anything. I also saw a rich man who wanted to buy a private jet just to try to fly to enter Heaven. He even hired scientists to investigate and look for the gates of Heaven. Many people hid for their lives because they knew that War had been started from the Middle East. I saw an Arab looking man negotiating to use the Nuclear weapons. Some places were destroyed and many people was forced to fight back for their country. All the nations were fighting for some reasons and the sea turned red and the land became dry. Many people were no longer eating at all because of price hike (Rev 6,6) and no one can buy or sell unless they have been chipped (Rev 13,17) . Some people tried to steal food or kill just for food. Others are being chased by the police, but the police looked like a criminals. They no longer looked like people authorised to uphold justice, instead they looked like a red eye monsters. Injustice is everywhere. As bombs were hitting different nations, my vision ended. Today I had amazing experiences, several visions. In the morning, I sensed my spirit separating from my body, I heard a sound of a great wind blowing over me… I yielded to GOD fully, I left my body, flew in the air… then I was above the clouds, I could see stars shining in the skies.. It was so real and clear… after I came back, my body was covered with a blanket of GOD’s presence. In another vision I came to a certain house, I saw a certain brother, his uncle had just died on earth, they were mourning for him, the LORD revealed to me, what he was thinking, he was wondering if his uncle was ready to meet the LORD,the uncle was saved though, the brother was just asking himself, if he was in right standing with GOD at the time of death, then we started to pray, I was suddenly taken to heaven, I saw the throne room, it was large, it looked translucent, like very clean and clear ice.. The walls, the floors, ornaments were so transparent and beautiful… there was like white mist and fog, a glassy platform , then beautiful throne chair, large and centred in the platform, Then I saw the LORD JESUS seated there, HE had a beautiful, flowing white robe, red sash across HIS Chest…HE sat there in HIS majesty and glory, I saw the saint who had recently passed, the same uncle of that brother, both of us, knelt before the LORD and bowed our heads, started to worship HIS.. The LORD was observing, I could tell he was happy and HE smiled at me…Then I was out of heaven and back on the earth. On another vision I saw the face of JESUS appear on thin air..HE was so handsome, large beautiful brown eyes, hair that touches HIS shoulders. Then I started wondering that if people could see how awesome JESUS looks like, what will they say. I saw myself sharing with people about my visions of JESUS CHRIST. I saw golden coins and pure gold in my hands. I was given a beautiful golden crown, It was written something on it. In a vision, I was with some brethren and a prophet, then my spirit eyes opened, I was able to see the physical and spirit world at the same time, i began to tell them, my spiritual eyes are opened, i am able to see into the realm of the spirit, when I looked up above our heads I saw the moon… then towards the east, I saw the glory of GOD shining, intense rays of multi-coloured light Increasing and growing bigger… I knew JESUS is coming..RAPTURE is Imminent. After my experiences the LORD told me two important things. Number One, HE said I must look up to HIM as my only standard and focus, Number two. HE said, The believer’s highest priority and aim should be to live a life pleasing to the LORD and making it to heaven. HE said, This must be put above earthly goals and achievements .One must pursue heavenly things over earthly things. The greatest thing that can happen to a believer is to enter through the gates of the city and live eternally with GOD in heaven. I had a Prophetic out of body Experience for one hour where I saw angels, and the Lord Jesus and He showed me end times visions. As the experience started I saw a transparent looking angel and he traveled around my house at a great speed. I saw how the angel departed to report that I have left my body, he told me that Jesus will visit and talk to me soon. After disappearing, I saw my house, our living room and the stairs were the angel vanished, I saw another angel, who told me that I was going to see the Lord. After that, I felt like the rapture was going to happen. I couldn’t stand the overwhelming holiness in front of me, i couldn’t even look up, i just nodded my head, and I started to cry. Then suddenly, the LORD JESUS lift up my face and wiped away my tears. He is the most wonderful, and love is written all over His face. I really cant believe it, but the Lord kissed my forehead. I didn’t said anything but He knows my heart, I was crying deep inside, I felt like I had failed. He kissed my forehead because He had forgiven me. After that end times vision, the Lord disappeared. I know in my heart that i will experience more of His power as He promised. The Lord gave me a vision today at 3am on September 25, 2015, showing me how the rapture will happen. In the dream, I saw myself at a friend’s wedding reception with my husband. We saw something like a cloud and everyone was just looking at the clouds, all of a sudden there was a loud shot and everyone begin to run for covering. All of a sudden I saw the graves open and some of the dead were caught up in the sky and few seconds later, l saw myself going up and the joy l felt was so different. It’s something l have never felt before. After that, l saw chaos going on in the world. Breaking news everywhere, people were looking for their relatives but can’t find them. After that lucifer was introduced as the new ruler of the earth (He will rule the earth through the Beast, the Antichrist, the false prophet, and the 666 mark). Then I woke up. This is the third time God has giving me this dream. Take heed. Thanks you very much God bless i understand what to do now thank you. Ok then thanks you I promise to the Lord I will Repent and I will never take the mark of the beast. all I wanted to be righteous to the Lord and seek his presence and his face like Angelica zambrano and Rodolfo I’v heard they had Great Testimony heaven and hell. Christiscoming777 how do I become such a True Christian so I can have that Strong powerful faith in God. I do believe in him i’m only 14yr old but I do believe in him i love Worshipping him and Praising him Hallelujah praise the Lord. I promise the Lord i will be Raptured and my Family too I need to learn and focus on him everyday. is there another chance to go heaven if people were left behind? I know there has to be do have to Die for Christ if someone killed you and you go heaven. Greetings in the name of our Lord JESUS CHRIST, I would like to ask brethren, is rapture likened to the days of Noah, and also the parable of the 10 virgins? I have a particular sin that I’m struggling with it since this year began, I’ve prayed and fasted about it several times but I still can’t overcome it, I don’t know what to do again and I know if don’t get raid of it I’ll lose my salvation. Please help me. Thanks. Go for deliverance. Look for a genuine Holy Spirit filled servant of GOD and tell him your problem so that he can do deliverance to you. I just seen this message and i never heard of deliverance! Im actually homeless rite now and i posted on this site a little while ago about struggling with my demons. I have a few and i keep falling. I feel like I’m a lost cause. I know the end is near, there are tooooo many signs to ignore and it seems the devil is doing his job quite well. They say the devil’s best trick is to make people think he doesn’t exsist. I know he’s real and i also know God is real. I just wish he would do some divine intervention on me. I always feel like i can never forgive myself and i feel like God isn’t going to forgive me either. I just hope i get it right before it’s too late. The Two Witnesses, as well as the AC, walk in our midst unnoticed and unrecognized by most. All who follow the Lord and call for repentance are the Spirit of Elijah! Christiscoming777, how do we become righteous as a TRUE christian? WE ARE PROMISED IN THE BIBLE THAT BEFORE THAT GREAT AND TERRIBLE DAY OF THE LORD, A PROPHET ELIJAH WILL BE SENT TO LEAD US IN TRUTH AND RIGHTIOUSNESS. MALACHI CHAPTER 4. WHO IS THIS ELIJAH AND HAS HE BEEN SENT? Concerning the two witnesses, the Bible says they are the two lampstands standing before the the God of the earth (revelation 11:4) and from revelation2:20 we find out that lampstands are churches. In other words, the two witnesses are not to be understood as two individuals but churches. Also the two witnesses are said to be the two olive trees, this is natural Israel ( nation) which God called them green olive trees (Jeremiah 11:16) and spiritual Israel( the church), romans 11. Brethren the two witnesses are not to be understood as two individuals. John had seen seven lampstands ( churches) standing before God. Among these 7, Jesus had something against five of them that needed to repent but in Two of the churches, Jesus had nothing at all against them and these are the lampstands that remained standing. That is, in the last days, we will have faithful Christians who will have the characteristics of either the church in Philadelphia, witnessing powerfully in the Lord or the church in Smyrna, suffering persecution for His name- The two witnesses, the lampstands. You are incorrect on your main point of issue. You are mixing 2 different revelations. The 2 witnesses are as it says in Rev 11,10 “two prophets”. They are also put to death,and their dead bodies lie on the street of Jerusalem for 3.5 days. Thus they are 2 individual people. If they were the 2 faithful parts of the church – all those people would have to be in Israel at once and all be killed – that may be millions of believers, so it does not fit on a number of counts. It is 2 men, 2 prophets – Elijah and Enoch. They have not died, they were caught up and will return for this end time mission and then died and be raised. Yes he has been sent. Prophet Dr David Owuor. pls are there people in hell now, if yes why did the bible say the death will arose first and we who are living will catch up with them in the cloud. then where are the that is already death (the saints) now. Is it only those in the old testament like Abraham that are in heaven. Explain to me because most people are disproving the hell revelations but I believe the testimonies with all my life. pls help me. Everyone who has ever died is now in either Heaven or Hell. The scripture you refer to – the dead in Christ will rise first – means this : the dead in Christ are now in Heaven but do not yet have a resurrected body. They will get this at the Rapture when they return with Christ from Heaven to Earth when there bodies will be resurrected (the dead in Christ will rise first), followed by the alive Christians whose mortal bodies will be changed in a blink of an eye to their new resurrected bodies as they are caught up in the rapture to meet the Lord in the air. Those in Hell will also be resurrected back into their bodies at the last judgment to stand before God and give account, after which they will be thrown into the lake of fire for eternal torment. All your questions and many more, will be revealed to you.